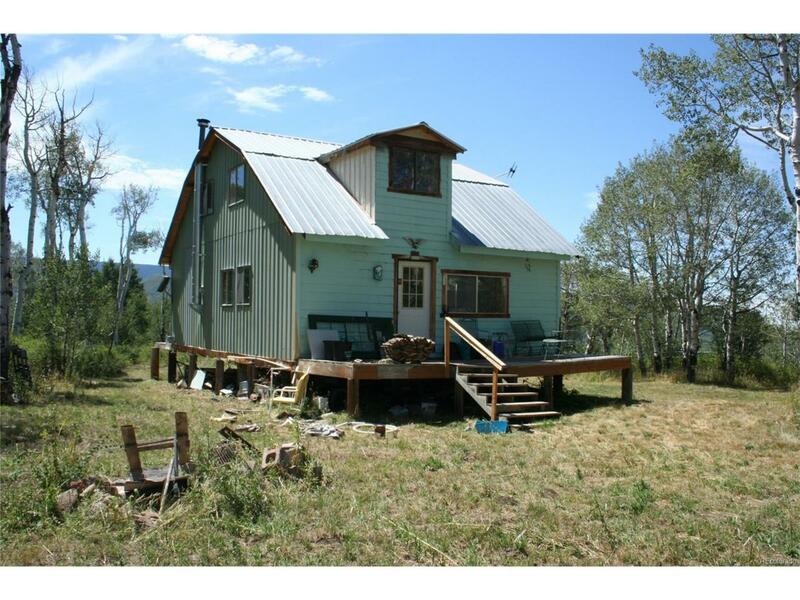 Off-grid cabin on 40 acres adjoining Grand Mesa National Forest. Great views, lots of wildlife, aspens, meadows, less than 60 miles from Grand Jct. airport and only 4.5 miles from locked gate at Hwy 330. Photo-voltaic system includes 8 panels of 75 watts each, Trace SW2512 inverter, 4 new L-16 batteries and 7KW Generac whole-house propane generator. Septic system approved by Mesa County, but cabin was built without a permit. Has 3 water tanks totaling 1000 gallons, currently hauling water but there is a spring that could be developed. Upper level is one large bedroom, main level is open plan with propane heat, wood stove, on-demand hot water heater, and a 3/4 bath. Will even include a deep freeze, Caterpillar D2 dozer, and snow cat! Rare opportunity for this location.